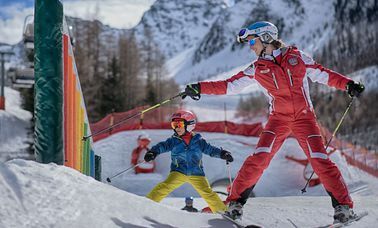 A journey back in time is a dream of almost everyone. Watching prehistoric giant lizards doing their thing sounds spooky at first. 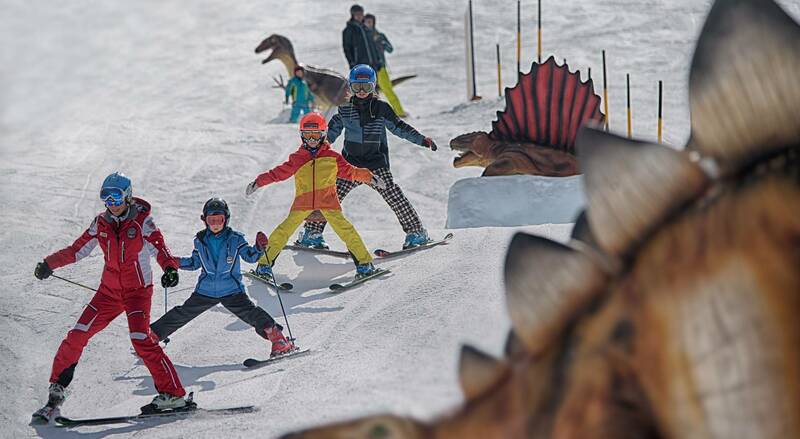 On the “Dino Fun-Line” such giants are awaiting the curious clients: Tyrannosaurus Rex, triceratops and stegosaurus await the children, the freestyle newcomers and every other interested person. 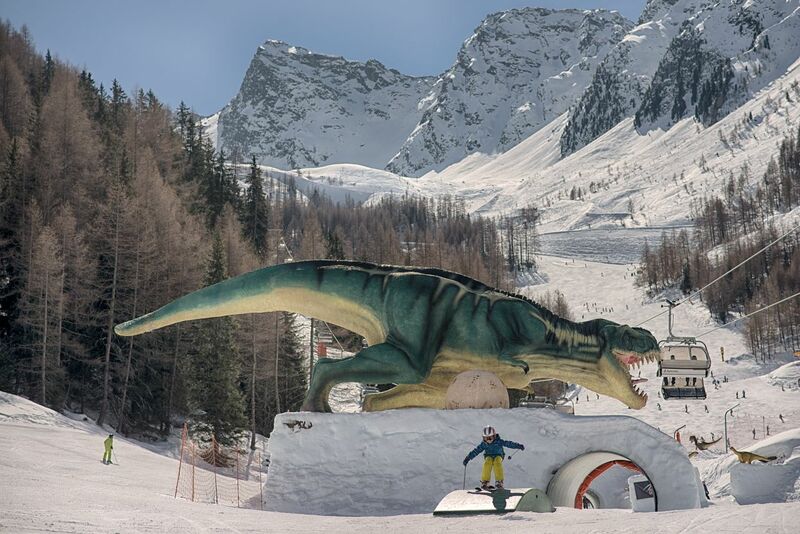 Drag your curves, visit the whoops and small boxes and visit our dinosaurs. Evolutionary history does not need to be boring. 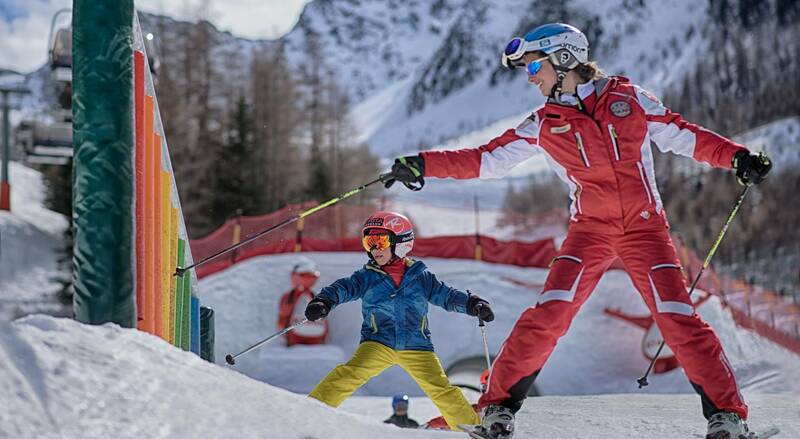 Get your ski pass Klausberg and experience an exciting journey back to the world of the giants. 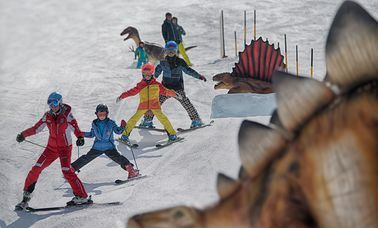 At Klausberg, a unique spectacle awaits the visitors: Prehistoric lizards doing mischief here in life size, waiting to be visited by tourists. 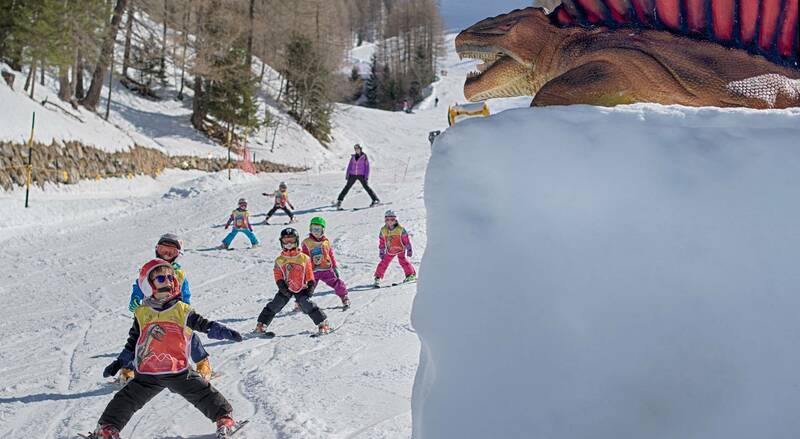 Experience tyrannosaurus rex and his friends while whizzing down the slopes, both things are possible at Klausberg and at the same time at that. 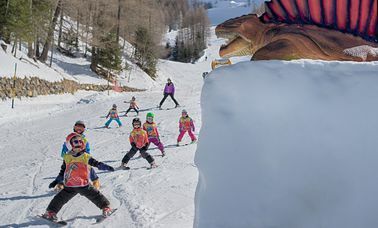 On the unique Dino Fun-Line, freestyle can be interesting for beginners and children, especially when one gets, as in this case, observed by prehistoric giants, such as a tyrannosaurus and a stegosaurus. So that you can make the trip back to the time of triceratops, stegosaurus and co., you have to get a cable car ticket first!